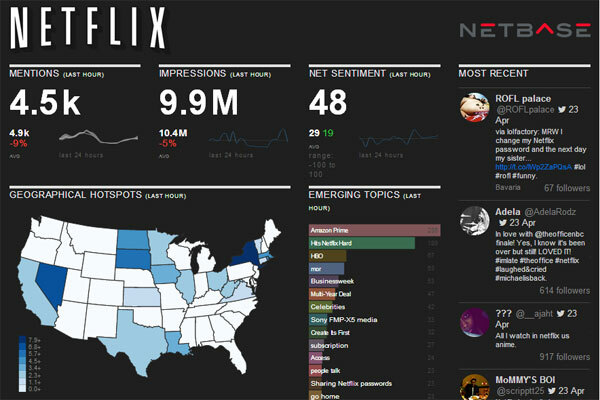 Social intelligence platform NetBase has launched Brand LivePulse, a visual dashboard that provides users with access to real-time insights on their social activity. The LivePulse solution provides a live update of how many people are talking about a brand, showcases unusual activity as well as the intensity of chatter. The platform even reveals geographic hot spots to help executives see what's trending where and who is driving the conversation. "It can be hard to convey the power of social inside the company in a way that all departments and managers will understand," said Pernille Bruun-Jensen, Chief Marketing Officer NetBase. "We developed LIVE Pulse because our customers asked us for a live view of their brand that can be accessed instantly and shared across the entire organization. Our biggest customers are currently using LIVE Pulses, and they love the results. There is no other product like this on the market."